Like so many other collectibles, Barbie’s magnetism holds true for both children and adults, especially adults who, as kids, weren’t allowed or couldn’t afford a Barbie of their own. The possibility for any Barbie fan to make a personal, unique collection is limitless. The question is, where to begin? First, make sure you know the three eras of Barbie dolls: Vintage (1959 – 72), The Modern (after 72), and Collectible (1986). Look for dolls that are not the same. A difference in hair style or eye color can make them more valued. Try to keep your dolls and outfits boxed. Don’t play with them! Though you can sell unboxed dolls, boxed examples always get more money. For this reason many Barbie collectors buy two of every doll, one to play with and one to leave in the box. There are three main types of collector: Collectible, Vintage, and Pink Box collectors. 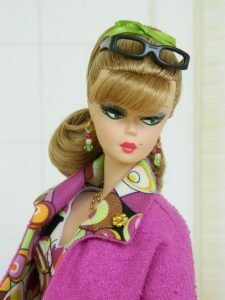 And because there is such a vast range of Barbies to select between, collectors usually specialize in one small area. Vintage means made before ‘72. Check the country of manufacture to give you an indication of a doll’s age. Before ‘73 Barbies were made in Mexico, Taiwan, and the US. Pink Box Barbies are toys particularly made for kids and are vastly available, though they aren’t as valuable as the older ones. The trick for collectors is to foresee the ones that will become future collectibles. This is a difficult thing to do, but, as a rule, go for the models that are most treasured by today’s children. They are the ones who will pay in 20 years for the Barbies they weren’t allowed as kids. Whichever you decide to stick with, 70s Barbies, ethnic Barbies, or Barbie footwear, the crucial thing to remember is to enjoy the dollars. If not, there really isn’t any point.